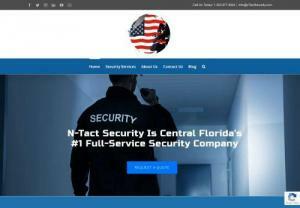 N-Tactâ€™s professional, ethical, and confidential services has just what your business needs. Our companyâ€™s professionals all have either prior police or military experience. They have been trained in defensive tactics, maneuver defensive driving and life saving techniques. At N-Tact, all our professionals have been vetted with complete background checks to ensure that are clients are getting the best.